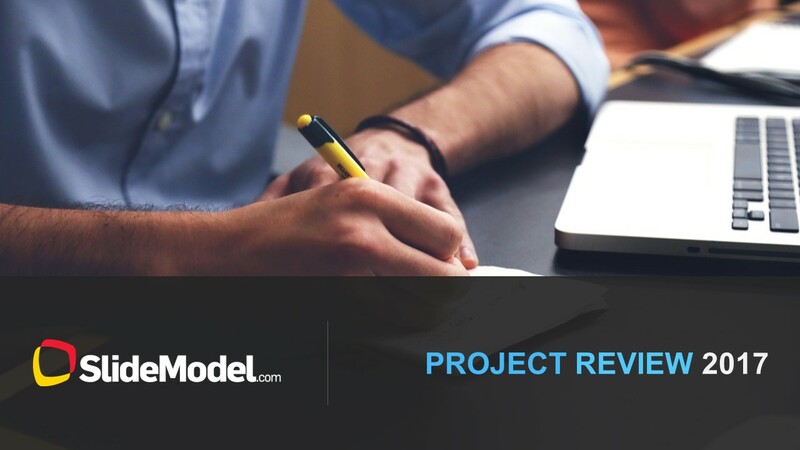 The Software Project Review PowerPoint Templates is a presentation tool to report software projects progress. 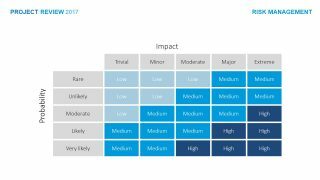 The PowerPoint project template contains brilliant layout designs for dashboards, data driven charts, capability matrices and comparison charts. 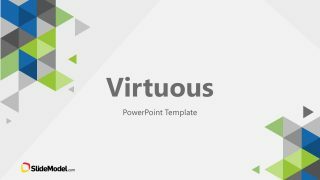 This is a 13 slides PowerPoint template, suitable for professionals working in the field of software and technology. The software review PowerPoint project template has a table of contents slide as an introduction to the presentation. It can aid the presenter to compile the information by quickly adding titles in a list format, avoiding the traditional bullets list display. 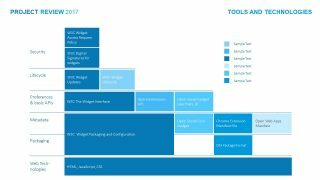 The Software Project Review PowerPoint Templates encompasses evaluation tools for scope, feasibility, risks involve and resource management. 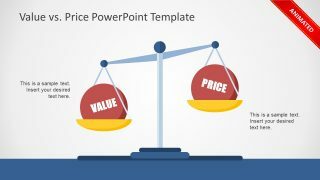 Therefore, the project template PowerPoint contains a fantastic collection of data driven charts and graphs. These are modern diagrams such as, clustered column facing opposite directions. 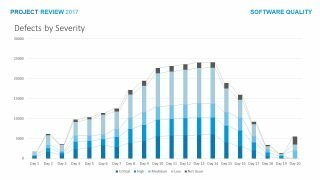 Further, stacked column and brilliant custom combination of charts as well. 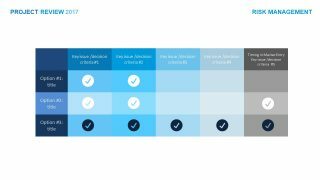 The users can simply copy their desire slides and use them as it in their own status report presentation. Or, personalize the design like changing the color, font, add or replace icons, adding links etc. 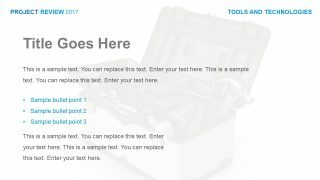 These simple modifications are easy to perform by selecting options from design and format menu bar. 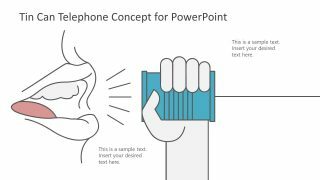 Similarly, the users can also add the animations and transitions to the elements of the presentation. 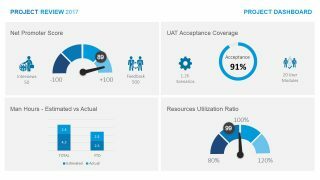 Project Dashboard Slide: Presents traditional project metrics as UAT Acceptance Coverage, Man Hours comparison of actual vs forecast, the project net promoter score and the resources utilization ratio. 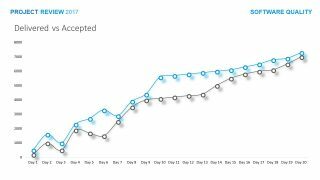 Defects By Severity: Data driven stacked column chart that shows the evolution of software defects in time. 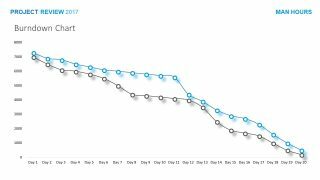 Burn down chart: For Agile projects, how many story points where burned versus the estimated ideal amount. 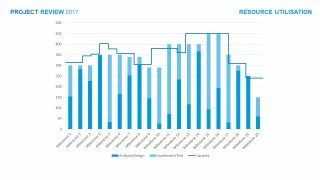 Resource utilization chart: Column stacked chart that evaluate the team resources utilization along time. 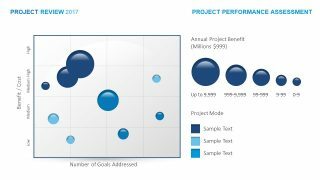 Project Performance Assessment: Bubble chart. 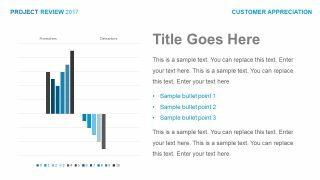 The slide-deck software review project presentation template is a complete set of text placeholders, useful graphs and visually interactive charts. 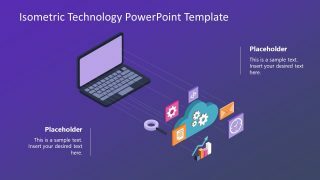 The theme of software project technology PowerPoint template is blue and green. The software and technology business usually use such themes to present the company profile, innovative ideas and projects. For example, the entrepreneurs and startups explaining the feasibility of their device or application.